I recently mocked up a table setting for an upcoming dinner party and thought it was just too pretty not to share a little peek. 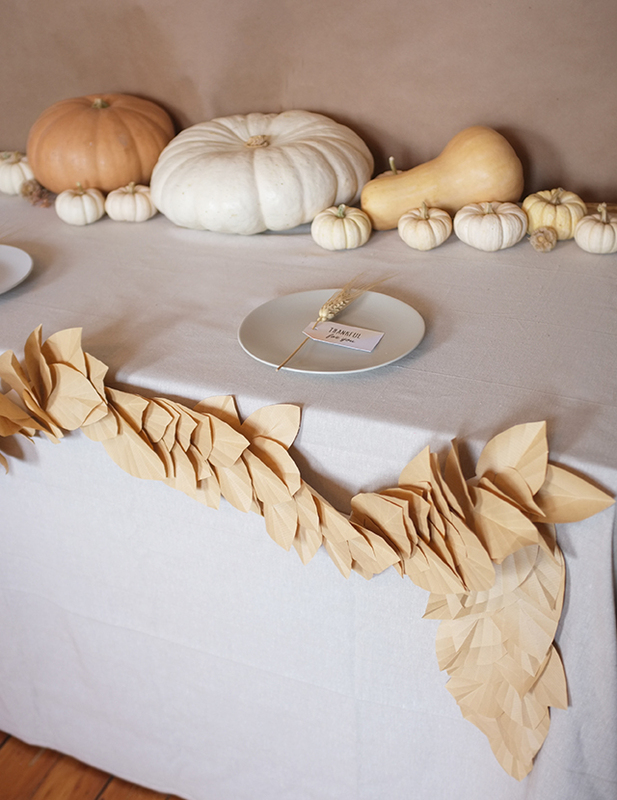 I plan on setting the table just like this for a pre-Thanksgiving meal I’ll be hosting with friends. 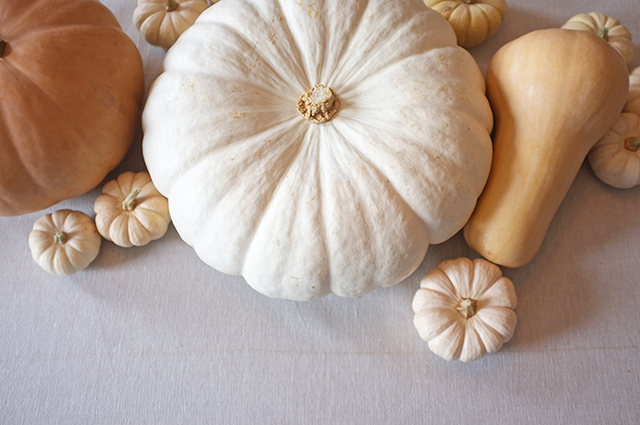 A neutral tablescape is just so simple – and these low-sitting pumpkins are perfect for dinner party decor as they won’t hinder any views across the table, which is sure to help keep the conversation flowing…and the food! 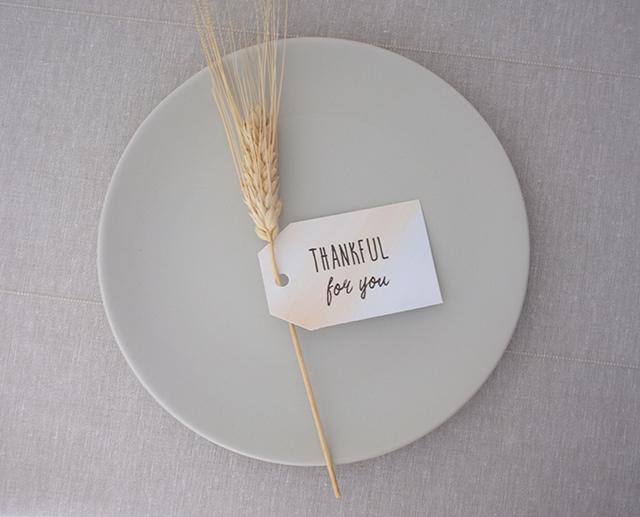 While I plan on keeping the table so very simple, I will be adding one little personalized touch to each plate – a “Thankful For You” greeting tag for each of my guests. 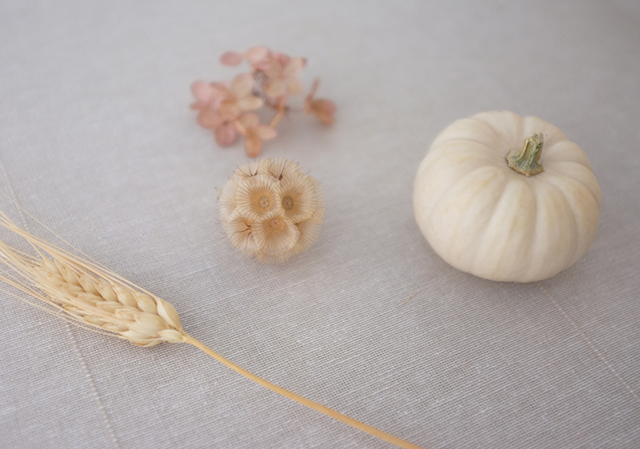 I took inspiration from a selection of dried flowers, wheat, and an ivory-colored pumpkin and used these whimsical fall elements for my color palette. With watercolors I painted the pattern onto a piece of paper, scanned it, and formatted the design with the “Thankful For You” note. 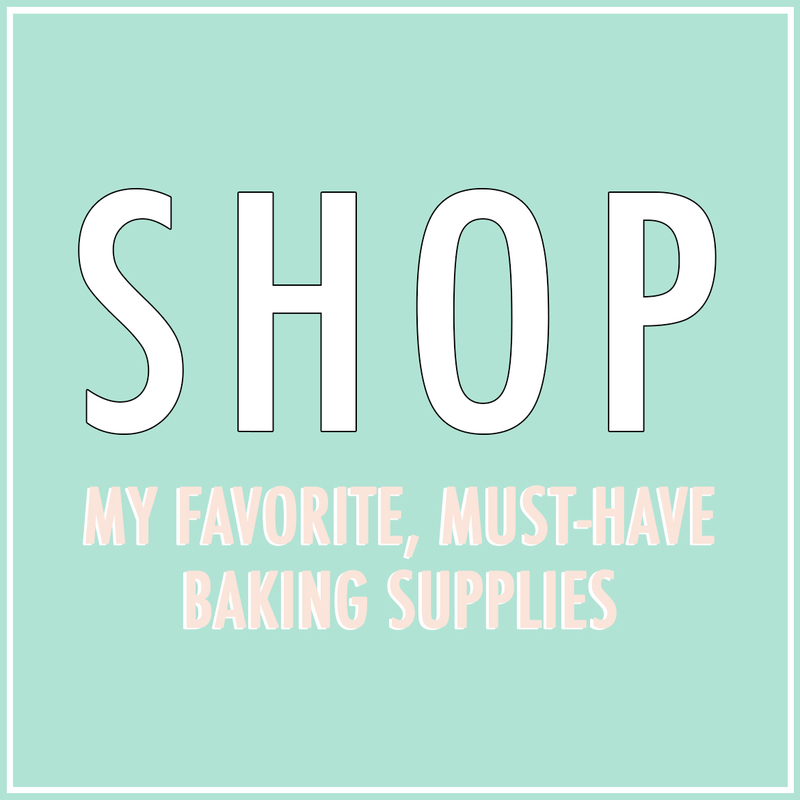 I printed the tags using the Avery printable template #22802 – which couldn’t have been easier! 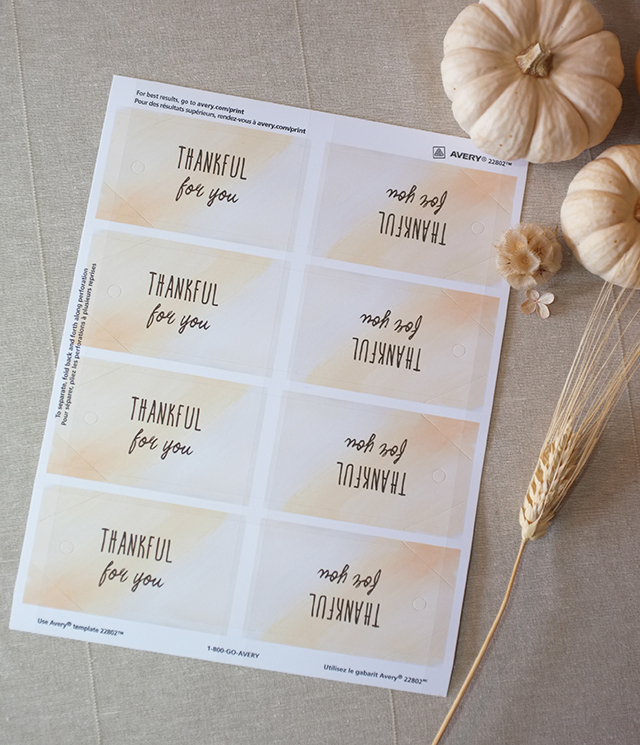 I’ve included a link for you to download my printable template design below – all you’ll need is the Avery tags before you print. 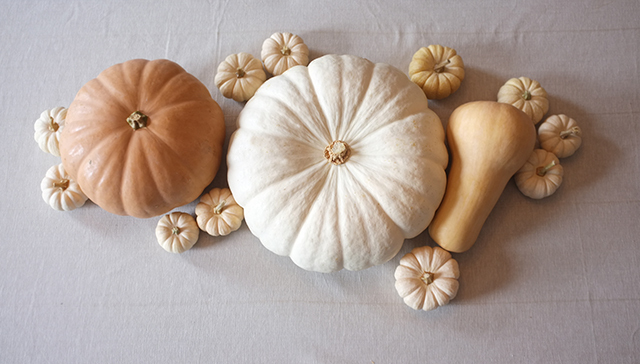 And even though these tags will be used as place settings for my Friendsgiving dinner, you could string them just about anywhere!